It’s release day! Today I have a new short story available for everyone to read and enjoy! 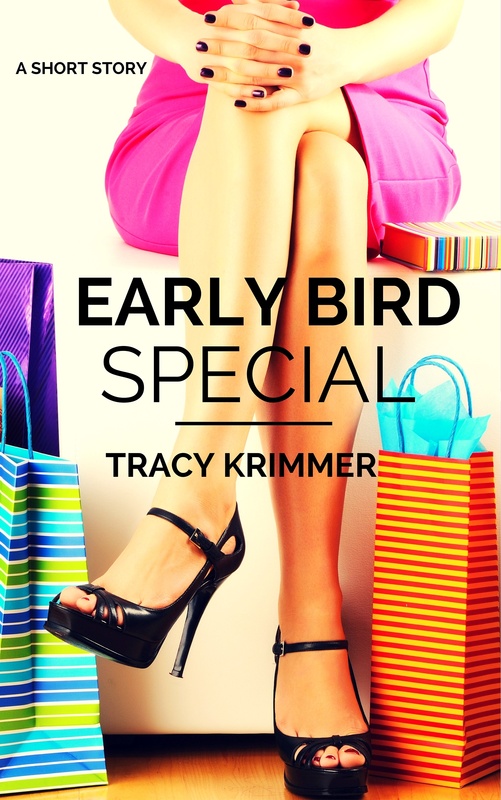 Early Bird Special is a Thanksgiving story about Francie A. Spiller, a party planner who can’t get things right in love, although she is near perfect at her job. She meets a man while waiting in line for Thanksgiving deals, and she can’t stand him. Or can she? This romantic comedy is a short story, approximately 8,000 words. Click over to purchase and enjoy! The Jealousy Game has turned into a Thanking Game – thanks to you! As I approach the end of this draft of my work in progress, I decided to offer my current book, The Jealousy Game, for free for 5 days through the Amazon Select Program. The response was incredible and I am grateful and amazed at the response. The first few days I offered it, I managed around 200 downloads. In case you are unaware, I can view the unit sales and it separates showing the free units downloaded per the promo. I didn’t log on for about a day to check it, but I kept promoting it on Facebook and Twitter (thanks to all those on Twitter that retweeted it!). On Friday I logged on and saw it at over 800 downloads. The free downloaded ended Saturday night. Grand total of downloads for the week … drum roll please … over 1500! That’s 1500 individuals that now have The Jealousy Game on their Kindle. That’s 1500 individuals that will either love it or hate it. That’s 1500 possible reviews and ratings, both good and bad! I am just ecstatic over this. The last time I offered it for free, I had about 200 total. What a difference an online presence makes! I hope everyone that took the time to download it reads it, and likes it! And also leaves a review on Amazon and on Goodreads. There are 1500 potential readers for my next book! Thank you to EVERYONE! I am so grateful to you and as a writer, I can’t tell you what this means to me. I want my words in the hands of readers and they are there. It’s scary – there are going to be plenty of people that don’t like my book. But that’s okay. My book isn’t for everyone. It’s a quick read. It’s suspenseful. Hell, it made the TOP TEN for Kindle Free Books in Thriller at the Amazon store! I hope you watch for my next book. I have a hopeful publication date in December, but I can’t guarantee that yet. Currently, my WIP is classified as a New Adult Erotica Thriller. However, depending on my Beta reader results, that could all change. Please watch my blog and follow me on Twitter @tkrimms. And thank you to all my readers and supporters! You can still get the book for $1.99 if you didn’t get it with the free download. Also, if you like the traditional paperback, that is available as well. Because who doesn’t like a free book? Starting today, through the 7th, you can download my book The Jealousy Game for FREE on Kindle. What is The Jealousy Game? Melissa Bailey agrees to go out with her best friend’s friend, even though she harbors feelings for him. She must try and manage her feelings after she is confronted by his girlfriend. She has to deal with strange things happening, all while her parent’s marriage is falling apart. Her summer vacation becomes a nightmare when she is abducted and a game of jealousy unfolds. Download the book for FREE and please be sure to review it on Amazon. Also, if you have a Goodreads account, be sure to add it to your list! New Releases for the End of October!